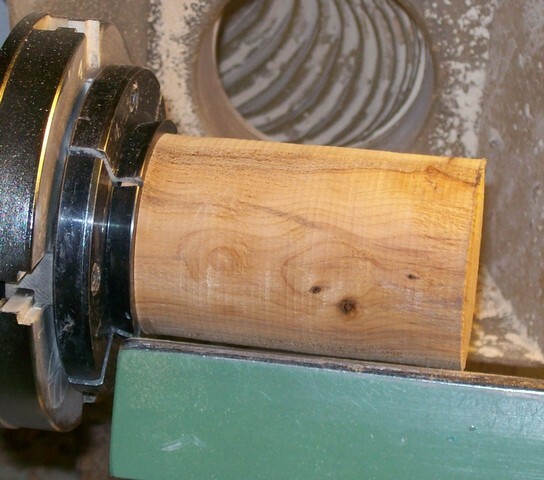 Choose a piece of wood to the size you want for the stem, prepare it and put it in the chuck. Round it off and flatten the end ready for drilling. 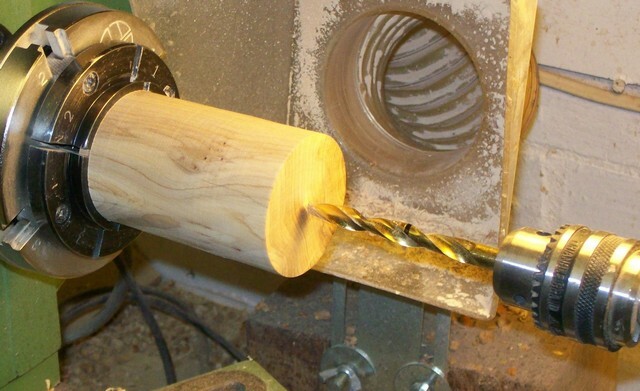 Choose a drill that is slightly larger than the stem and mark it for the depth you want which should be a bit longer than the stem you have left. 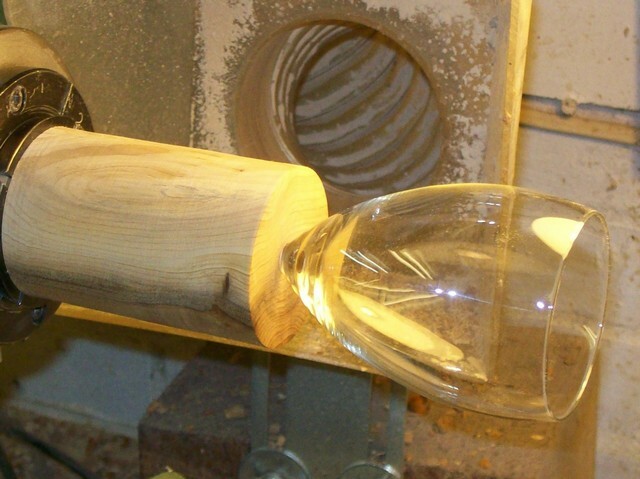 Drill the hole and then check with the glass for fit. 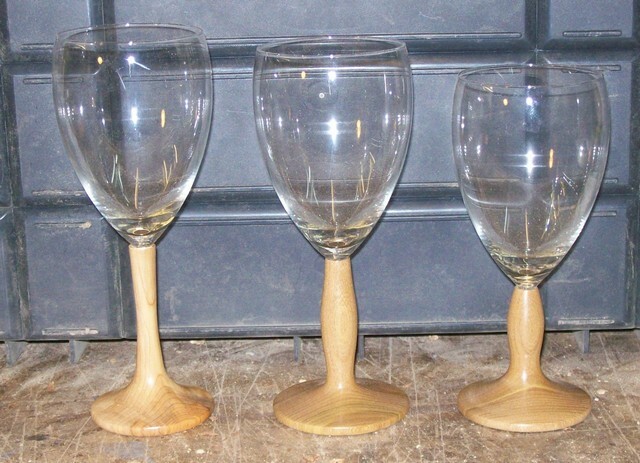 Now turn the stem and base to the design you want and sand ready for the finish. 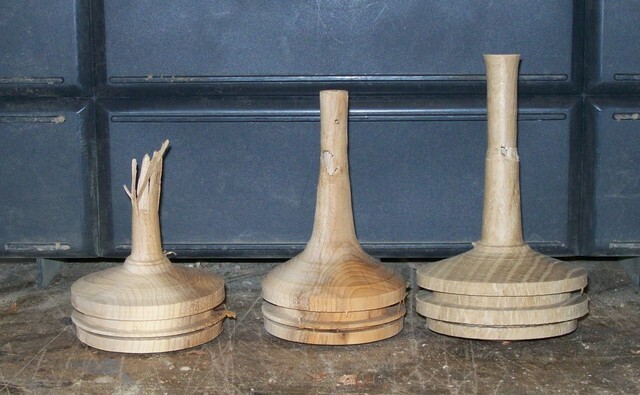 Be careful when turning the stem as you have to remember that there is a hole down the center of it which might not be completely straight so don’t go too thin! The finish you put on whilst not having to be completely waterproof should be able to withstand some water as it will have to be washed and you will get drips down the side of the glass. You can use any of the finishes I mentioned at the beginning of this article but my favorite finish is 3 or 4 coats of melamine lacquer, left to dry for 24 hours then buffed up. To glue the glass into the stem I use either silicone sealer or two part epoxy resin.